Breakout Watford opened in February 2018, but I’ve heard very little about it in enthusiast circles. I’ve long felt that London needed more suburban games, and Watford is a perfect venue, so I was keen to find out what this independent company had created. It’s conveniently located in the centre of the town, within easy reach of restaurants and pubs but without paying for the shopfront that would undoubtedly add a lot to the costs. Once inside, there’s plenty of space for the three games they have open at the moment. The GMs were friendly and polite but very much employees rather than enthusiasts. They hadn’t played other games and didn’t really know anything about the market beyond what was in front of them. 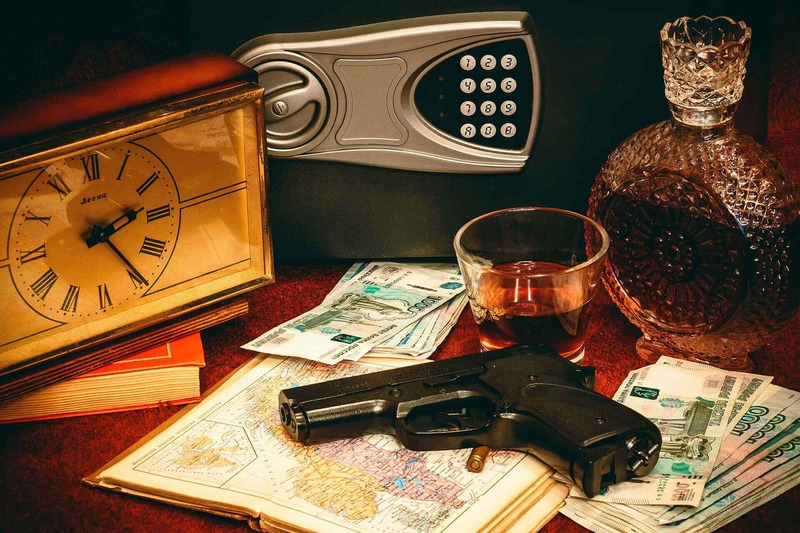 “Spy games” isn’t a particularly strong theme for an escape room and, while the opening scene does look very much like the tired office that might fit with the storyline, it’s really quite a dull opening to the game. As things progressed, that feeling remained – I never got excited about the decoration. Similarly there’s no real progression to the story. You’re just solving puzzles along your path until you escape the room. First-timers will undoubtedly be excited by some of the reveals, but experienced players are unlikely to find anything surprising. The puzzles might not be the most exciting in the world, but they were logical. There was one exception relatively early in the game related to a directional lock which was horribly ambiguous on top of requiring a small amount of outside knowledge. In fact, it was ambiguous to the point where we solved the core puzzle but, after trying a couple of possible solutions, decided we were obviously barking up the wrong tree. With it being a linear room, we were then entirely blocked until the GM directed us back to that puzzle and we cycled through the possible solutions. There’s also some unfortunate use of similar colours early in the game that, combined with some misinterpreted signposting, sent us off on a wild goose chase. That’s unfortunate, because the use of signposting to provide hints with some of the puzzles was one of the better parts of the room that really helped with the flow. Unfortunately, those two issues that we hit at the start meant that we lost faith in the room early on and, while we didn’t have any further issues, it took a while to regain our trust in what we were solving. Things had picked up again by the time we reached the finale, which contained some of the better puzzles, but by then the game had somewhat petered out for me. We finished in around 45 minutes having taken a couple of clues for puzzles where we had got thoroughly stuck. This game felt like the sort of experience that would have been well received three years ago: there’s almost no decoration and the puzzles are OK. Go in with that mindset and, ignoring one particularly weak puzzle, I think you’ll have fun, but there are many more interesting games in London. We played as a three, and that worked well. It’s trickier than your average game, but it’s also very linear, so we still ended up getting in each other’s way. We ate round the corner in a Wagamama. There are plenty of quick restaurants two minutes’ walk away – Zizzi, Nando’s and Bella Italia to name a few.